Demographia International released its 15th Annual housing affordability survey which bases affordability on the average housing income. Their findings have the Vancouver market as the second least affordable in the world, behind Hong Kong. Victoria is ranked 13th, and Nanaimo is the 19th least affordable, tied with the Comox Valley. The survey rates housing affordability using the “median multiple” which is the average housing price divided by the median household income in a market. A median multiple of 5.1, where the home costs five times more than the average household income, is considered “severely unaffordable. Vancouver’s median multiple is at 12.6, Victoria’s is 8.5, Nanaimo is 8.0 and the Comox Valley is 7.5. Ladysmith can claim the highest relative population growth in B.C. last year for towns over 5,000 population after jumping from 9,093 to 9,417. Ladysmith is classified among larger municipalities (greater than 5,000 population) and topped the category with a growth rate last year of 3.6 percent. The City of Langford came second with 2.9 percent. 2018 saw numerous legislative changes which have affected our provincial housing market. As intended, the mortgage interest rate “stress test” has cooled the housing market since its inception on January 1, 2018. Previously, stress test requirements only applied to insured mortgages (less than 20% down-payment) and most variable mortgages and terms of less than 5 years. 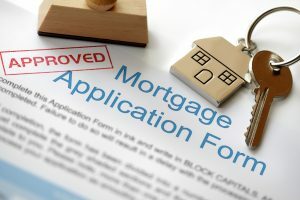 Now buyers with uninsured mortgages (more than 20% down-payment) also need to prove that they can afford payments based on the greater of the Bank of Canada’s five-year benchmark rate or their contract mortgage rate plus two percentage points. This measure has reduced the number of new home buyers with debt levels that extend well beyond their incomes and has contributed to slower growth in house prices. Locally we have seen an unprecedented number of deals collapse due to financing. It is more crucial now than ever before to speak with your lender and make sure you qualify for a mortgage. For properties owned on December 31, 2018, the tax rate is the same for everyone: 0.5% of the assessed value of your residential property on July 1, 2018. B.C. owners are eligible for a tax credit of up to $2,000 on secondary properties to offset their tax payable. The credit is limited to $2,000 per owner and $2,000 per property (in the case of multiple owners) per year. The speculation and vacancy tax applies based on ownership as of December 31 each year. Please refer to the government website for exemptions and more information. This tax applies to foreign nationals, foreign corporations or taxable trustees. On Vancouver Island properties in the Regional District of Nanaimo and the Capital Regional District where property transfer was registered on or after February 21, 2018 are subject to a tax amount of 20% of the fair market value of your proportionate share. Please refer to the government website for exemptions and more information. The agricultural land reserve was established in 1973 to protect land with prime agricultural conditions for farming and ranching. On March 19 the Government of Canada released its 2019 Budget. The budget includes several initiatives focused on first time home buyers and attempts to address the lack of housing supply for both ownership and rental purposes. First Time Homebuyers Incentive. The Incentive would allow eligible first-time home buyers who have the minimum down payment for an insured mortgage (5%) to apply to finance a portion of their home purchase through a shared equity mortgage with Canada Mortgage and Housing Corporation (CMHC). Home Buyers Plan Withdrawal Increase. Proposal to increase the Home Buyers’ Plan withdrawal limit for first-time buyers from $25,000 to $35,000 of their RRSP. This would be available for withdrawals made after March 19, 2019. Budget 2019 also proposes that individuals that experience the breakdown of a marriage or common-law partnership be permitted to participate in the Home Buyers’ Love Real Estate Group – RE/MAX of Nanaimo Plan, even if they do not meet the first-time home buyer requirement. This measure would be available for withdrawals made after 2019. Increasing Housing Supply. Help build 42,500 new housing units across Canada, with a focus in areas of low rental supply, through an expanded Rental Construction Financing Initiative. The budget makes available an additional $10 billion in financing over nine years, extending the program until 2027–28. The creation of an expert panel on the Future of Housing Supply and Affordability jointly established by the Federal Government and the Province of British Columbia. CMHC will invest $4 million over two years to support the panel’s work, and $5 million over two years for state-of-the-art housing supply modelling and related data collection. Tackling Tax Non-Compliance and Money Laundering in the Housing Market. Creating four new dedicated real estate audit teams at the Canada Revenue Agency to monitor transactions in the real estate sector. Exploring opportunities to improve data sharing on real estate purchases between the federal government and British Columbia to inform enforcement efforts on tax compliance and anti-money laundering. As part of this initiative, the Government will provide up to $1 million to Statistics Canada starting in 2019–20 to conduct a comprehensive federal data needs assessment to further streamline data sharing and monitoring of purchases of Canadian real estate. There are far too many multi-family developments in the works in the Regional District of Nanaimo and particularly the City of Nanaimo, to mention them all here but if you’re into a deep dive a great source is the City of Nanaimo’s “What’s building” tab on their website. The peak of the market 2016/2017 saw housing prices surge past local incomes leaving people paying a greater portion of their income toward housing leading governments to react with cooling measures in 2018. Now seeing the effects of those measures there is some stimulus announced in the new federal budget with the first-time home buyer’s incentive and the proposed increase to the home buyers plan. While retirees will continue to play an important role in the island housing market the demand from retirees will be somewhat offset by economic conditions in Vancouver and other parts of the country where it may be harder to sell a home to enable a move. 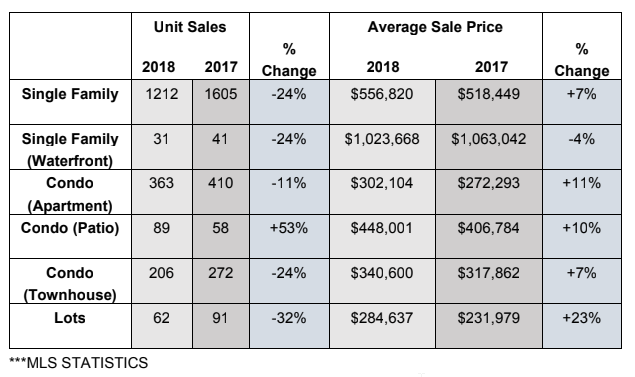 These factors along with the increase in new housing construction in the area will lead our market to balanced conditions and away from the seller’s market of the past few years. For buyers this is good news as there will be more time to think and make an informed decision. For sellers remember it’s all relevant if you are buying and selling into the same market. You may sell for less, but you will also buy for less. You may find it harder to qualify for the funding you require. Although rates are still low, the “stress test” levels are rising. This means that you have to show that you can manage payments for a rate that is 2% higher than your actual rate. For example if you are given a rate of 3.39% you will need to qualify at 5.39%. There are good reasons for this stress test. 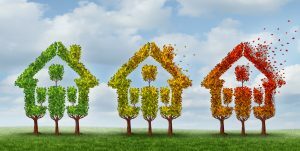 The banks are trying to discourage buyers who are stretched to their limits at current rates and who may default on their mortgages if interests rates rise in the future. Lessons learned in 2008! If you think that these new regulations are going to affect your borrowing power, and you are thinking of buying or refinancing in the new future – ACT NOW! After Dec.31st your options will become more limited. It’s now official – the tide is turning in the Nanaimo Real Estate Market. 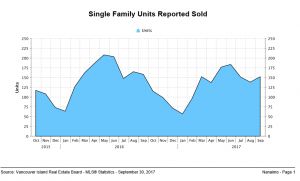 The Vancouver Island Real Estate Board (VIREB) has published its statistics for September and there is a clear trend emerging. I have never been a person who is naturally drawn to statistics, but these ones have real life consequences for the families we work with, and that makes the monthly stats very interesting and relevant. For the past 3 years we have seen our inventory go lower and lower, month after month there were fewer homes for sale. At the same time it seemed like the whole world had discovered Nanaimo. The demand for homes has steadily risen with sales increases every month. The result has been a very challenging market for Buyers- there was so little available and so much competition! Prices have been rising, sometimes by the week! The low inventory has had a snowball effect – on itself. People were afraid to sell their homes in case they had nowhere to move to – nothing to buy! The lower the inventory, the more frighten home owners were to venture out there. Gridlock! Finally, in August 2017 we saw a reversal of this trend. For the first time in 3 years (maybe longer) there were more new listings than the previous year. Also, there were fewer sales than in 2016. Higher supply and lower demand (instead of lower supply and higher demand) have caused the market to begin to balance, and cause the rise in prices to begin to slow. September stats have shown the same reversal – we now have an official trend. Experts are not expecting a big drop in prices, just a slowing down of the increases. A balanced market is one where the Buyer demand and the supply of homes for sale are approximately equal. A more balanced market will be a healthier market for everyone. Buyers can make better decisions when they are not rushed into making offers they are not ready for. When Buyers make more informed decisions, the deals go better for the Sellers too. We expect the overall buyer demand for properties in Nanaimo to continue to be high. Nation-wide, baby-boomers are looking for fair-weather cities where they can buy for under $600,000. Nanaimo may be the only city of that description left! This factor alone will keep the Buyers coming to Nanaimo. 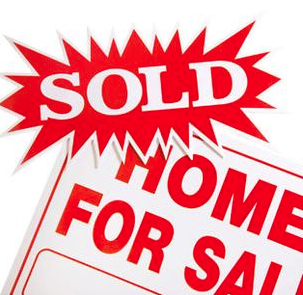 In Nanaimo real estate we have been experiencing a strong Seller’s market for the past 3 years. Rising prices and multiple offers have been a constant challenge for Buyers and a bonus for Sellers. Along with the frantic pace, both Buyers and Sellers have been experiencing a lot of stress. The time pressure experienced by Buyers has caused some to make offers that they could not follow through with. At one point we were finding that, across the market, a full third of contracts were failing due to lack of financing, low appraisal rates and, for some, just cold feet. Hasty decisions are not good for anyone. There is a change in the wind. The market statistics as well as our everyday experience in the marketplace show that, for the 1st time in years, there are more homes being listed than have sold. The biggest problem that we have faced in this Seller’s market has been lack of inventory. In August we saw that shift, with more listings on the market and fewer sales. 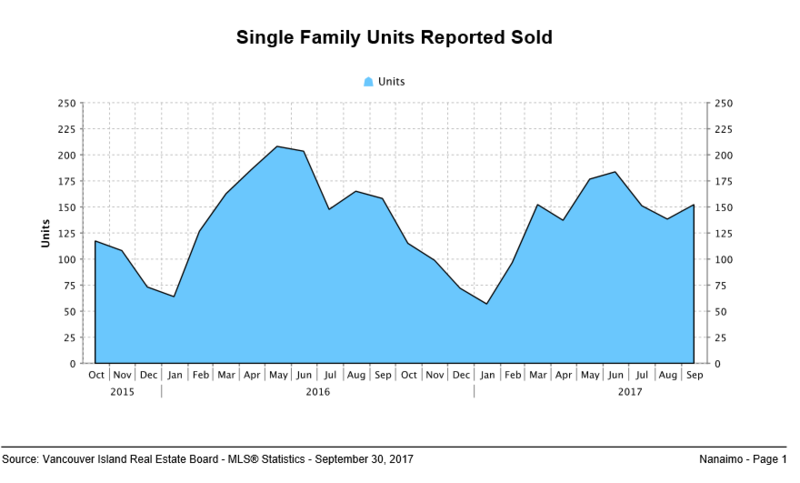 The average sale price was still up and the number of days on market was down, but in time, higher inventory and lower demand will bring balance to the market. We are not anticipating a drastic drop in prices, just a cooling of the pace and levelling off of prices. So far, this is being felt most in the higher priced properties. There is still a lot of competition for the $300-600,000 priced properties. In fact, there is a lot of demand from across the country for properties under $600,000 homes in “fair weather cities”. That’s us! Nanaimo is one of the few fair weather Canadian cities with average sale prices under $600,000. This will keep up buyer demand for the future. We seem to be heading into a more balanced market where the pressure is equalized between Buyers and Sellers. This will be a healthier market for all sides, resulting in deals that are based on solid financing and thoughtful decision-making. If you are thinking of buying or selling your home, now is an excellent time. Please call us for a no-obligation consultation. Rising Interest Rates – What does it mean to you? Last week the Bank of Canada raised their interest rates, again, by a quarter of a percent. Financial experts are expecting one more similar hike before the end of 2017. Why are they rising? Interest rates are rising because of Canada’s strong economy. Business is good. Low interest rates are meant to stimulate the economy and they have done their job. The good news: Rising interest rates mean greater return on investment dollars. For those who already own their own home and are living off their investments, they will be breathing easier. The bad news: We are still 3% below 2008 rates but with higher prices and higher stress tests. The stress test means that you must qualify for an interest rate that is 2% higher than what you will actually be paying. This is to protect consumers from getting caught paying more than they can afford if rates continue to rise. If you are trying to get into the market, you need to lock in current rates before they rise again. Get a 3 month written approval from your lender. You’ll need to go through a full credit review in order to get a guaranteed rate. Then it’s time to shop! Moving to Vancouver Island? Great idea! The logistics of moving into a new town, city or province are challenging. Often Buyers come to Nanaimo (commercial center of Vancouver Island) to stay for a weekend or even a week, to shop for a future home. They are planning a move in a month or two and need to find their new home. Competition for resale homes in Nanaimo and much of Vancouver Island is fierce. Most homes are selling within the first few days. That makes it very difficult for Buyers who are coming from afar. You may find a suitable home online, book a flight and race out here to view it in person, only to find that the home is sold by the time you arrive. One solution to this dilemma is purchasing new construction. When you buy new construction you can buy yourself the time you need. There is less competition for new homes, so as an out-of-towner you will have a little more time to consider your purchase and a little more time to organize your move. 1. AVAILABILITY – On the top of the advantages is availability. If you are not able to stay in the area for an extended period of time, you may not be able to access a resale home that meets your needs. Inventory is very low and timing is everything when you have this much competition. 2. NEW HOME WARRANTY – All new homes in BC must be covered by a New Home Warranty or an Owner-Builder Declaration. 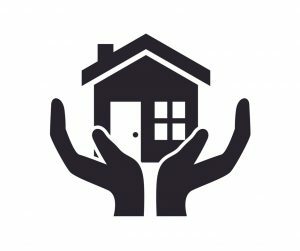 The New Home Warranty is a 10-year warranty for your home, but it is better to call it a 2-5-10 warranty. There is a 2-year warranty on labor and materials. A 5-year warranty on the building envelope, including water penetration and a 10-year warranty on the structure of the home. 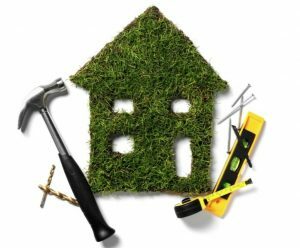 Owner-Builders who build their own homes and occupy them are not required to purchase a New Home Warranty. If they sell their home within 10 years then they are personally liable for any defects that would be covered by a New Home Warranty. As you can imagine, this comes with its challenges. 3. CHOICES – If you buy early enough you may have some choice regarding colours, finishes and appliances. 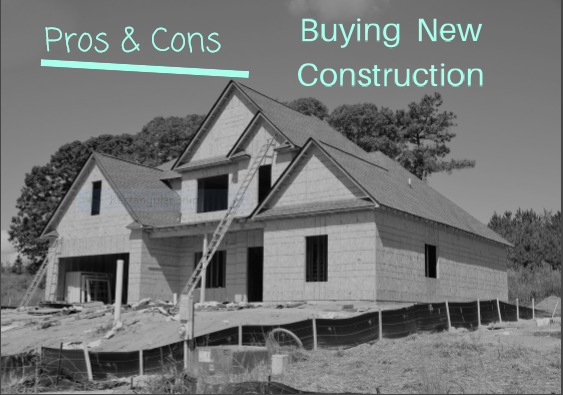 Most new construction homes are Spec Homes. These are homes where the builder has planned and some times completed the home before having a committed buyer. In this case you will be buying the home as planned by the builder. You may have some input, but it will be limited. If you want to have control over more detail you will need to hire a custom builder. This comes with a higher price tag because it is very time consuming for the builder. 1. TIME DELAY – While the timing may have been easier for you at the time of purchase, the timing of completion is much harder to predict. There is no way around the unpredictability of construction. Weather, illness, supply problems, labour shortages can all slow a project down. As a Buyer you must have a contingency plan in mind in case your move in date is delayed. Be prepared to put your goods into storage and find a vacation rental while you wait. Make sure you’ve allowed yourself some cash reserves to cover any delays. Possible delays and their consequences should be dealt with in your contract of purchase and sale. 2. SURPRIZES – It’s possible that you may arrive and find that the home is not as you expected. When you are negotiating your contract, make sure that you signing off on a specific floor plan and finishes list. Significant variation from these specifications may then be a breach of contract. 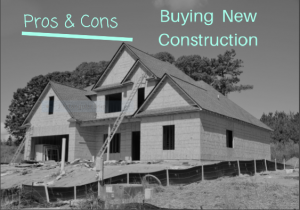 However, in a rising market, the builder may be happy to back out of a contract and put the finished home back on the market to sell at a higher price. 3. CONSTRUCTION ZONES – If you are one of many new homes in a development you may be moving into a construction zone. This can be trying. Noise, dirt and congestion are the top 3 of many challenges. 1. BUYER’S AGENT – Get an experienced Realtor to act as your Buyer’s Agent on your side. This will not cost you anything extra. The Seller usually pays buyer’s Agent fees. 2. LEGAL ADVICE – Ask a local lawyer (one who knows the local market) to look over your contract to make sure that you are protected in case of major delays or departures from your plans. 3. RESEARCH YOUR BUILDER AND THEN PLAN IN SOME FLEXIBILITY – Most builders have great intentions and take pride in their work. Their reputations are very important to them. Even the best builder cannot control every aspect of your project. A bit of flexibility on your part can keep communications open and cooperative getting you moved in as soon as possible. When you arrange a mortgage with your bank or other lender you will be offered Mortgage Insurance. It is hard to know what to say. It reminds me of standing at the Rent-a-Car counter trying to determine if I need their “strongly recommended extra insurance”. What to do!! In case of death, Mortgage Insurance will pay off your mortgage. 1. Mortgage Insurance does not underwrite your policy until you apply to have the policy paid out. Underwriting means that they accept liability under an insurance policy, thus guaranteeing payment in case loss or damage occurs. This means that even though you have paid for the insurance, it still may be denied. Apparently only 66% of policies will ever pay out. 3. The bank is the beneficiary. 4. The cost is the same no matter how much is remaining on your mortgage. 5. You may not be able to insure both you and your spouse. 1. Life Insurance is underwritten at the beginning of the process, ensuring that you qualify before you pay. 2. The cost is less expensive (half) compared to mortgage insurance. 3. You are the beneficiary and you can choose how best to apply the funds. 4. The policy does not depreciate with the mortgage. 5. You can insure both you and your spouse. Conclusion – The only thing that mortgage insurance has going for it is convenience – point of sale. Clearly purchasing Life Insurance instead of Mortgage Insurance will give you a more secure, higher pay out at less cost. This week RE/MAX of Nanaimo is introducing iBoards- for RE/MAX of Nanaimo Realtors only. With over 100 Realtors and constantly more than 50% of the market share, we sell many of our listings to other RE/MAX Realtors. iBoards will help maximize this advantage in today’s market conditions. When the really sweet listings come on the market, they are selling very fast. It is advantageous for our Buyers’ Agents to hear about new listings early – before they are published on MLS. Of course, it is one more extra advantage for Sellers who list with RE/MAX of Nanaimo too. iBoards is yet another great way to promote new listings! RE/MAX of Nanaimo’s head IT guy, Greg Matthews, has developed a new site for our Realtors called the Remax of Nanaimo Intranet. On this site we can access iBoards. This portal will allow us to post new listings immediately. Then can they be viewed by all RE/MAX of Nanaimo Realtors – right away. The old school system consisted of 12+ feet of white boards on which all new listings were posted. This has been a great tool for the Realtors who are in and out of the office all day. The problem has been that not all of our Realtors work out of the main RE/MAX building. Plus, a lot can happen within just a few hours while your Realtor is out of the office. 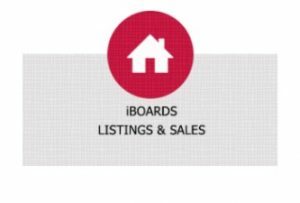 With the iBoards app and immediate notifications, iBoards will keep us all informed with the latest action on the market – giving our Buyers and Sellers one more extra advantage. 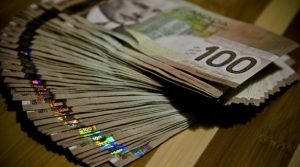 INCREASED MINIMUM DOWN PAYMENTS FOR BC HOMES OF MORE THAT $500K The new down payment rules are now in effect for those purchasing BC homes over $500K. Up to $500K a buyer is required to have a 5% down payment. On purchases over that price, the buyer will be required to put down 10% of the amount over $500k. For example: on the purchase of a $700k home. 5% of $500k is $25k plus 10% of the extra $200k is $20k for a total minimum down payment of $45k. That’s up $10k from the previous rules. The intent is to prevent buyers from taking on more debt than they can afford. There has been a real change in the Nanaimo Real Estate Market in this past year. Nanaimo home prices were slowing drifting down since 2008, and have now turned around and are steadily rising. Market values for homes have now recovered to pre-2008 levels. The average sale price of a single-family home in Nanaimo is up 5% from this time last year. The number of homes sold is also up 5%. Improved confidence in the economy, low interest rates and pent up demand have resulted in busy buyer activity. In terms of inventory, (the number of homes available), Nanaimo is at a 10 year low. There are 12% fewer active listing compared to Feb. 2014. The basic rule of supply and demand can be seen in action. Low supply and high demand is pushing prices up. Gradually we are moving from a Buyer’s market into more of a Seller’s market. What does this mean for the Home Buyer? There are many buyers out there – just watching and waiting for the right home to come on the market. It is important to have your Realtor put you on to a direct Private Client Services feed so that you can see new listings as soon as they hit the market. There is a 2-3 days delay before these listings reach the Realtor.ca website. When you are competing for a desirable home, you will have competition and a speedy response to a new listing can be crucial. There is a higher likelihood of competing with other offers (multiple-offers). If this happens, then each buyer is asked to present their best offer and the Seller can choose to accept the best one, or negotiate an offer (but only one at a time). When there is a possibility of multiple offers the Buyer needs to present as strong an offer as possible. An important aspect of this is having your financing fully pre-approved. This will allow a quick subject removal period which is attractive to Sellers. Of course, a subject –free, cash offer is the most attractive offer to a Seller, but that is not always realistic or wise. It is particularly important, even as a cash buyer, to allow yourself time to have a thorough home inspection, so that you know exactly what you are buying. Having said that, Buyers in Vancouver are making subject-free offers every day because that is the only way to win a multiple offer. As our Nanaimo market heats up that will become more commonplace here too. Also, we have many Vancouver and Calgary Buyers competing for properties here in Nanaimo. They are used to a hot market and they can be challenging to compete with. Be prepared financially – Make sure you are fully pre-approved for financing so that you can make a strong offer. If you need to sell your home before Buying, you may need to go ahead and get your place on the market. Offers with a “Subject-to-Sale” clause are not attractive to Sellers in this faster market. Ask your Realtor about PCS, to see new listings sooner. Watch for new listings that suit your needs and ask your Realtor to book a showing without delay. When you see a house that meets your needs, make a quick and strong offer to avoid competition. Call or email Marie Burrows or Love Real Estate Group Love to guide you through the challenge of buying and/or selling your home. BC Energy Code Changes – Again!! As of December 19, 2014 there is another set of changes to the BC Building Code. These are aimed at increasing the energy efficiency of new homes. While we all support the promotion of more energy efficient homes as a part of our environmental responsibility, there is a limit to what the industry can realistically absorb. The last set of changes was in 2012. Builders and suppliers have just adapted to those building practice changes, as well as the increased costs. It is too much too soon. Some of the changes make good sense, and some are downright unrealistic. It will take another year or two of seminars just to sort out what the changes all mean for builders and for the cost of new housing in BC. How about saving up all these great ideas and having a minimum of 5 years between code changes? And here’s the link to the Canadian Home builder’s association website where you can find information about webinars to update you on the changes.